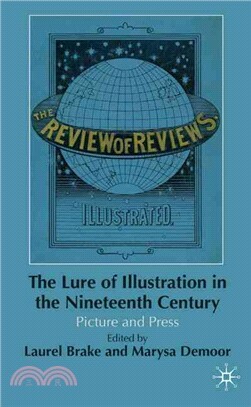 This volume tackles the subject of illustration, technically, metaphorically and historically in nineteenth-century periodicals, displaying the ubiquity of the visual in the press: the articles cover material illustration, graphics, and design and metaphorical use of images in the letterpress, offering specific examples and theoretical approaches. LAUREL BRAKE is a Senior Research Fellow at Birkbeck, University of London, UK. Her research interests are in print culture, gender, computing in the humanities, and Walter Pater. Publications include Nineteenth-Century Serials Edition (www. ncse.ac.uk) with Jim Mussell, Suzanne Paylor, and Mark Turner (2008) and Print in Transition (2001). With Marysa Demoor, she is currently editing the Dictionary of Nineteenth-Century Journalism. MARYSA DEMOOR is Professor of English Literature at Ghent University, Belgium. Her recent publications include Their Fair Share: Women, Power and Criticism in the Athenaeum, from Millicent Garrett Fawcett to Katherine Mansfield, 1870-1920 (2000) and Marketing the Author: Authorial Personae, Narrative Selves and Self-Fashioning, 1880-1930 (2004). With Laurel Brake she is currently working on the Dictionary of Nineteenth-Century Journalism.